From when I was in school doing my Bsc in industrial design I was fascinated by design in which the engineering and the function were in equal balance. In fact where the design was on the edge of “non-design” and the engineering was stretched to become foreign. I first noticed this when an old boyfriend was looking to buy a motorcycle. At the time fairings on a Japanese bike were it. I wondered why as I looked at Harley Davidsons of the time circa late 89′ these were “naff”. 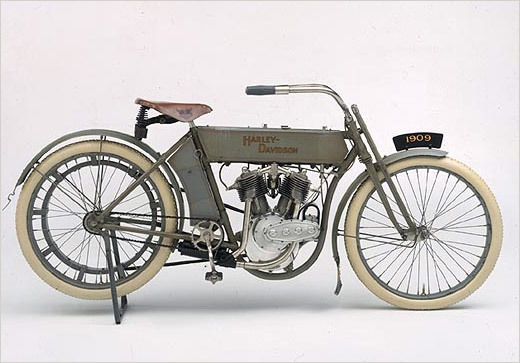 But when I looked at a 1909 Harley it was rather beautiful. 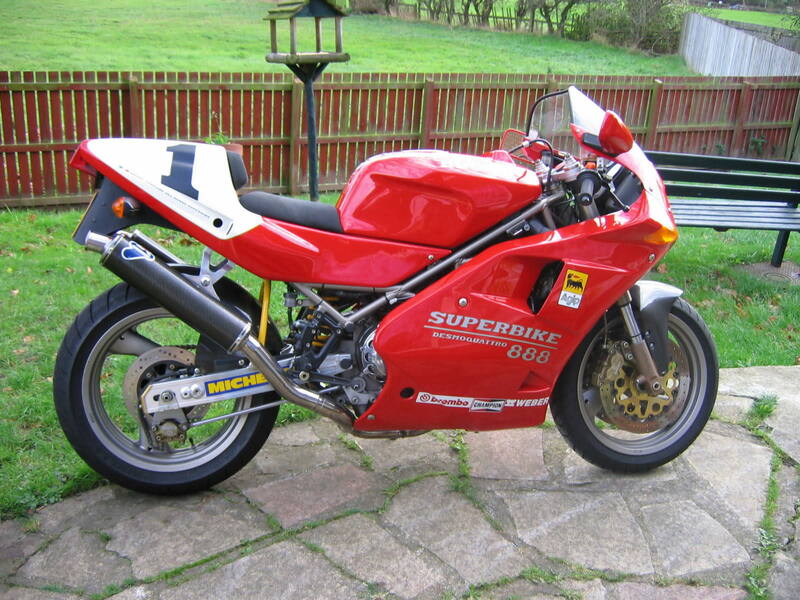 But there was something about the idea of covering the guts of the bike with fairings that seemed not right. Interestingly over the next couple years cafe racers were emerging as the IT bike but not Harley’s for the young hipsters. I think the reason is that we have an inherent need to understand things by looking at objects. So it was ok that a classic Harley showed it’s “guts” as it was new at the time, made a lot of noise and was aggressive. So by showing us what it was made of it kind of demystified it and eased our minds whilst giving us a chance to explore it, learn it. Bare with me a little longer I am getting there! I also recently looked at some of the history of Olympic torches and in my opinion the London torch by Jay and Ed at Barber and Osgerby is fantastic. See we had the need to separate out the parts to the torches historically because we kind of needed to understand the workings of it. And while I am sure the current engineering of the mechanism of the London torch is probably so advanced we are no longer interested in understanding it. We want the mystery and the gesture of primitive, iconic man running with flame. We want poetry. This torch has a hierarchy of meaning. 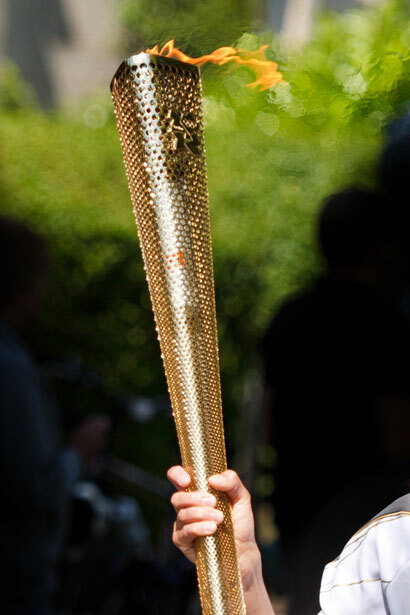 See in gross gesture the London torch is “man running with flame” but the three sides represent the landmark 3 times London has hosted the games, and the 8,000 perforations the 8,000 miles and people who carry it visit site. The gross shape is also longer to elevate the flame especially since there is no change of material handle or heat protection ledge, the three sides keep it from rolling, and the perforations ventilate and cool the whole thing. Maga thought gone into such a simple shape – respect your guys! 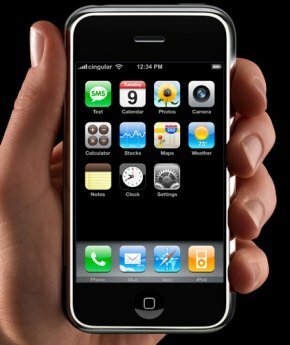 At the same time I am thinking about the absolute simplicity of the I phone with the attention to detail. Again iconic “man with wafer thin brick ti talk to and notepad to write on” but a treasure chest of mystery inside! How do these designers do it and what does this has to do with Fashion. He said: ‘I refute that design is important. Design is a prerequisite. Good design – innovation – is really hard. ‘Really great design is hard. Good is the enemy of great. Competent design is not too much of a stretch. But if you are trying to do something new, you have challenges on so many axes. So ok still bare with me… We have a bespoke mass produced iconic Olympic torch, a totally mass produced anonymous iconic (if that is possible) communication device. 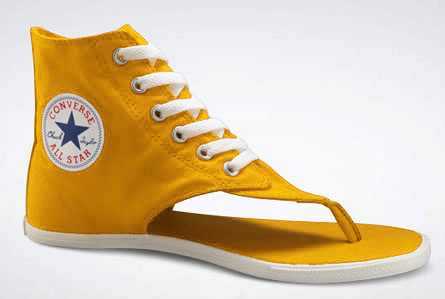 Then we turn to look at footwear… What is a classic? A brogue, stiletto? and why must we keep designing a brogue or a stiletto to make a classic. 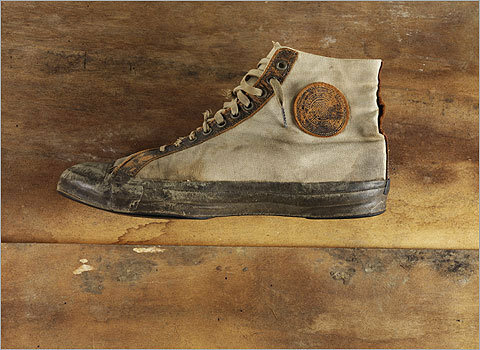 If we look at Converse why is this style still with us? Is it “iconic” and why does the new takes on a classic seem to fall short of the mark? Now we make the connection…How do we design a collection without just styling good designs not great designs? Is the act of creating a collection in contrast to what it takes to create a great design? Furniture designers create ranges but these items tend to have differing functions akin to a “range” of an I phone, mac powerbook and mac tower. So in trying to expand a range I can’t help but feel I am creating a collections of good designs but not great. Maybe it is just me, maybe it is the structure and nature of the fashion industry but I can’t help but feel elements of “fast fashion” creep into the design of any “range”. Maybe it is just me as I have no answers but maybe it’s ok to think about these questions.